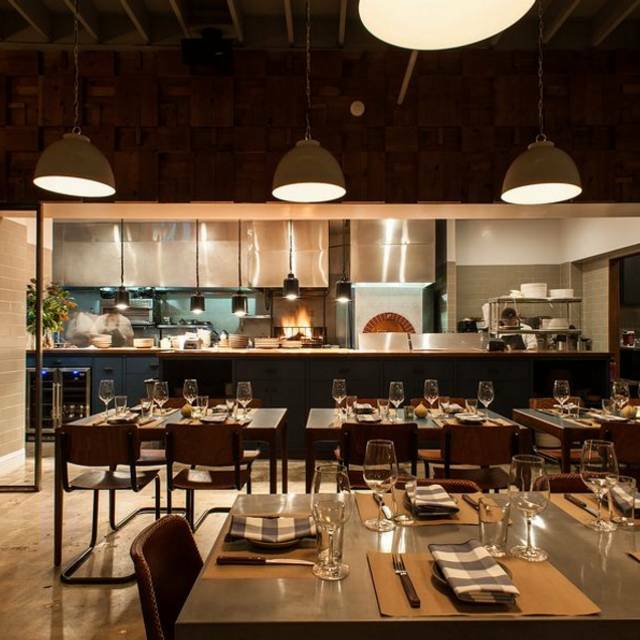 Spartina specializes in seasonal, market driven Cal-Italian fare. Spartina accepts reservations for large parties in both our chic, industrial meets mid-century modern dining room and our large patio. We feature a comfortable bar with food served out of an open kitchen. Please call to reserve for parties of 9 or more. 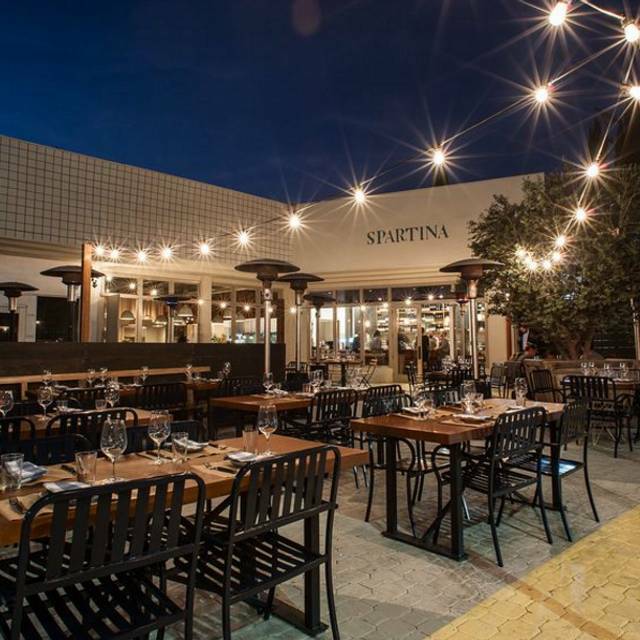 With Spartina, Melrose finally got what it always needed. A neighborhood pasta joint that never takes itself too seriously. The staff and the food here always make it a really nice experience. Easter brunch was superb! The chef is outstanding. I’ve been before for dinner and it was also excellent. Presentation, service and variety all 5 star. Highly recommend. Continues to be my (and my adult kids') favorite LA restaurant. 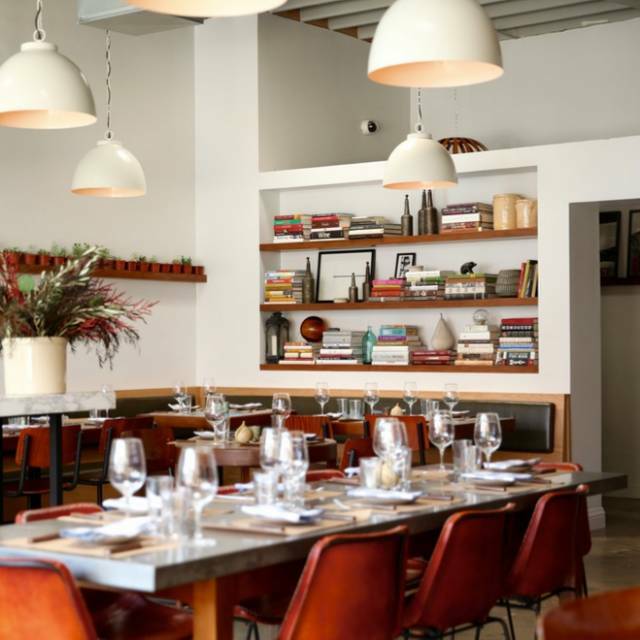 We live in the Bay Area and every time we hit LA (alone or together), we make a point of doing long, leisurely, tasty dinners at Spartina. 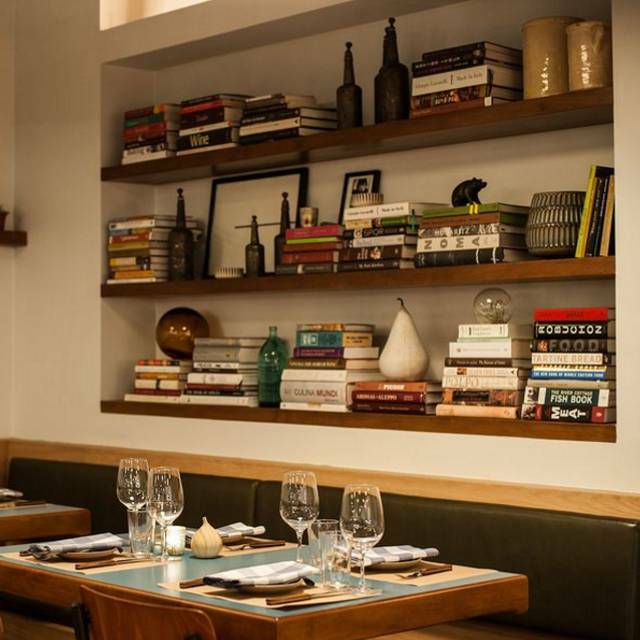 Here's a restaurant that does it ALL wonderfully – every time, year after year. Much love from NorCal. Spartina is a neighborhood favorite! Their service is impeccable, the patio is lovely, and happy hour is legit. We live near by and eat at Spartina often. The service is great, food wonderful. A great place to take your pup! Disappointing brunch experience. I was looking forward to this meal, having read good reviews of the restaurant, but brunch fell short. We ordered French Toast for the table, and that was enjoyed by everyone, but we were delayed in eating it as the server brought 3 plates for a table of 4 and then took way too long to bring the 4th plate--In fact, we had to ask for it. Entrees were hit and miss, especially when it came to how they were presented--the burger came with fries, whereas the breakfast sandwich, and the hot chicken sandwich were a la carte. There was absolutely nothing on the plate other than the sandwich. Very poor presentation. We decided that if we ever went back, we would order French toast and bacon, that's it. The patio is nice. and honey was so delicious! Our server, I think her name was Jessica was so gracious and accommodating. prepared food. I am definitely returning to your restaurant. this is a favorite place in LA. inventive menu, absolutely fantastic wait staff and management. 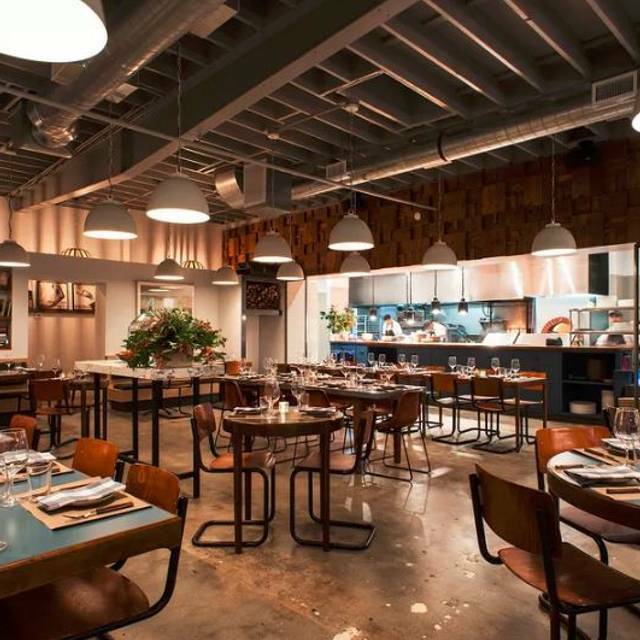 just the best for neighborhood fine dining in a casual outdoor terrace in the heart of the Melrose area. It has pretty good reviews online. To be honest, the food was just fine. Not terrible, but nothing amazing. Service was a little slow, but friendly. Probably a good solid place for locals, but I wouldn’t go out of my way to come here. Great atmosphere. Amazing service. Wonderful food. Spent over 2 hours dining and relaxing on the patio. Perfect for a date or a get together with friends. 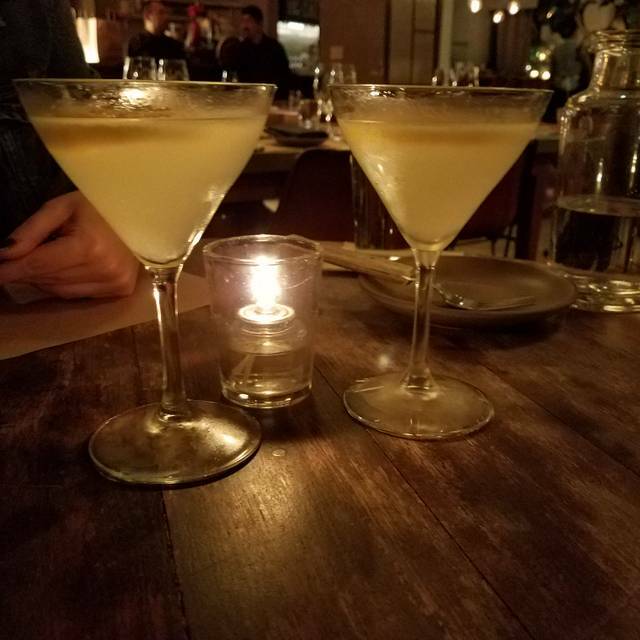 Then you can pop over to Melrose Umbrella Co. for a delicious night cap. You know what, it was OK. I can’t really say anything was a standout. We had 3 apps- Clarke St Bread, Octopus, and Cauliflower. And 2 entrees- Tortilloni with Short Rib, and the Carbonara. The tortilloni was a bit greasy and honestly I make a better Carbonara. Tiramisu was the dessert - kinda dry. Would comeback but need to change up the menu - been the same for a year. This was my third time. First two times were perfect. Although I’ll say most times staff is super hands off and not around often. Love the vibe and decor. My first two visits the food was PERFECT. This third time one dish was good and one bad. I was on a date and neither of us liked it but I felt weird sending it back or complaining. It was the pepperoni pizza with honey and chili oil. An obvious try at NY style toppings but it was gross. 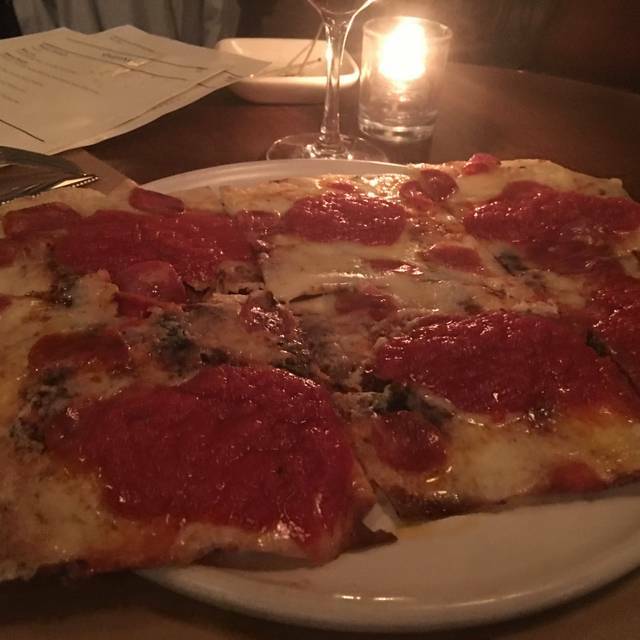 It was the equivalent of a Tombstone pizza and the pepperonis had the exact same texture. The short rib pasta was DELISH. Can’t win them all. I’d go back but never get pizza. Decent food. Good vibe. Poor service. The food was delicious. The cocktails were alright. The staff was very hospitable and our waitress was awesome. The food was fantastic, ambience was great and the cost was reasonable for good food. Parking is a bit tricky but seems common in the area. Really delicious food in a lovely atmosphere. I have been here for brunch before and really enjoyed my time. This time, however, was a little less enjoyable. To start off, we sat at a table for about 10 minutes before anyone greeted us with water or took our beverage orders. My beverage came out in a timely manner, however my friend, who ordered the Aperol bottomless, took almost 15 minutes before her drink hit the table. We ordered some starters before our third person arrived. They arrived in a timely manner as well. However, when we ordered entrees, when our third guest arrived, we noticed it was over 25 minutes since we ordered and we still hadn't recieced our food. A new server approached our table, and said our server left for the day and she was taking over. We informed her that our food is taking a while. She immediately looked into it, and found out that our original server forgot to put the order in. The mamanegment team took care of the food and did their best to rectify the situation. I appreciate the genuine concern for our experience, and the help the management/server did to make the brunch better. I would still go back, because the food is fantastic, and it may have been an off day for our original server. I was excited to make reservations but wasn’t impressed at all. Our waiter didn’t check in once and they gave us the wrong pasta we ordered for 1 plate. Not worth the money at all. Absolutely delicious and a great atmosphere. Highly recommended. The food was solid brunch food. Servers were nice and kept our drinks full. I had dinner with my nephew. The service and foods are very very nice. The ambiance is so good too. I would love to go back when we come to LA area! Thank you!!! We had a great meal in a very nice dining room, and the staff was very welcoming. We're looking forward to returning soon! We had a great experience. The maître d was so welcoming and made our morning a little brighter. The servers were knowledgeable and accommodating. The never let our mimosas dry up. The food was amazing and they had the best orange juice in town. A wonderful, low key, delicious neighborhood fave! One of the best meals I've ever had! Amazing food! Great music playing in the background. Super friendly staff. The spaghettini pasta dish is literally to die for. The food is fantastic. The Monday all night Happy Hour food menu is such a great value. The outside seating was so nice on a cool night with the lights and heaters on. Overall I strongly suggest. It’s a nice place with a good outdoor area but they have no gluten free or dairy free options. I have been coming here for quite a while now and ALWAYS have a most delicious meal and the nicest wait staff. This was our first time here. Overall, the food was good but not particularly memorable. However, the appetizers were outstanding! The octopus salad and polenta with Gorgonzola were both delicious. The service started out well but as the restaurant got busier, the service got very slow. They may just have been short-handed that day but our dinner lasted MUCH longer than expected. I would say that it is a nice restaurant with pleasant though unremarkable staff and food. But I think the appetizers were good enough that I may consider trying it again. Love this place, came 2x in one week! 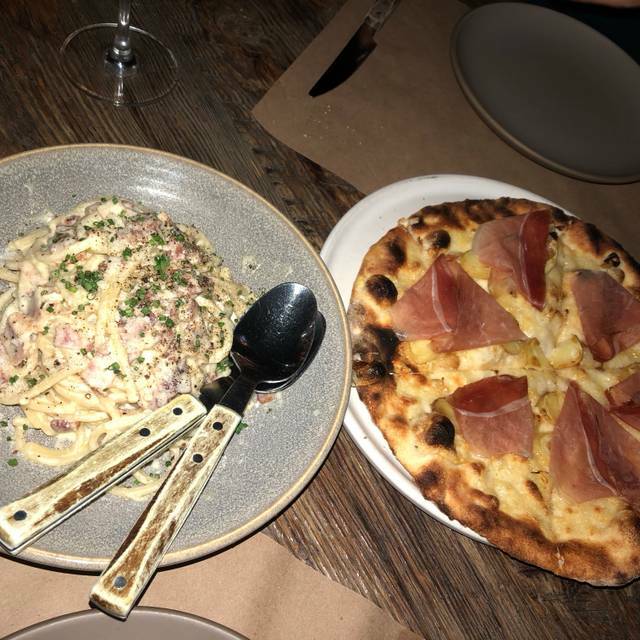 Would recommend the pork ragu, we got it 3 times! Loved it. 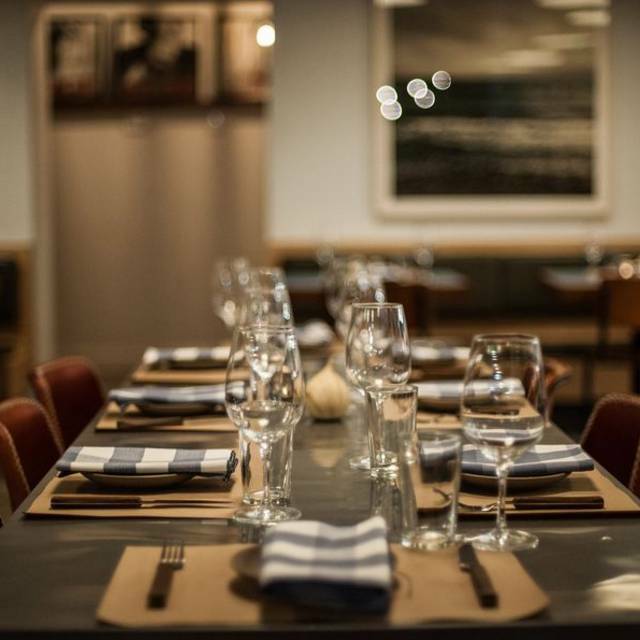 Great atmosphere, delicious food and excellent service. Great ambiance and the service was really nice. Wonderful meal and service - imaginative menu, delicious food, beautiful space, highly recommend! Service was sort of rude. Granted, we went on Valentine's, so they were serving a lot of people, but our guy clearly didn't want to be there and I felt like he was rolling his eyes at us the entire time. We asked if they had any bread, which isn't that crazy a request at an Italian restaurant, but he made it seem like we asked for his first born. He eventually scrounged up some thick-cut toasted slices, told us not to advertise that he did to other tables, and charged us $6 for it. Whatever. Food was greasy but fine. Best happy hour I’ve found in LA. Delicious pizza and house wine. Went for a brunch for a birthday and thought the food was excellent and prepared well. Just thought the place was a bit too noisy for us and the crowd was a younger hip crowd. We are an older hip crowd. Melrose now nearly as trashy as Hollywood Blvd. Service wasn't great here, but there were only two people serving at lunch on a Sunday and they struggled to keep up. Extensive brunch menu but of the 10 or so dishes we had between the group I would only recommend a few of the apps - the sprouts/burrata dish being the pick of them. Bottomless mimosas were heavy on the juice and we had to hunt down our server for refills. On balance, dont regret trying it - but there are so many better places for brunch in the area. The food is FANTASTIC. The staff is WONDERFUL. Outdoor seating is lovely. Indoor seating is great. BUT WHY DOES THE MUSIC HAVE TO BE SO FREAKIN' LOUD. We had Sunday brunch, 11:30, and by the end of our meal we had to yell to hear each other. The space is loud on its own, when filled with people. I don't need shrieking songstresses and techno din drowning me in noise.